Woodland Santa Head serves as a beautiful wall hanger within your Christmas decor. 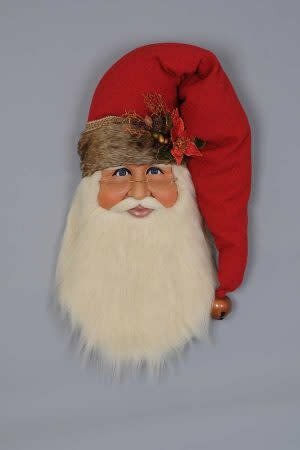 The quality is unmatched with this decorative piece’s hand-painted face, glass inset eyes, unique fabric, and detailed accessories. With this item’s rustic design and incredible detail; this Christmas piece is sure to add character and style to any home.